This fair trade handwoven jewelry is lovingly handcrafted by women in the mountains of Northern Swaziland. 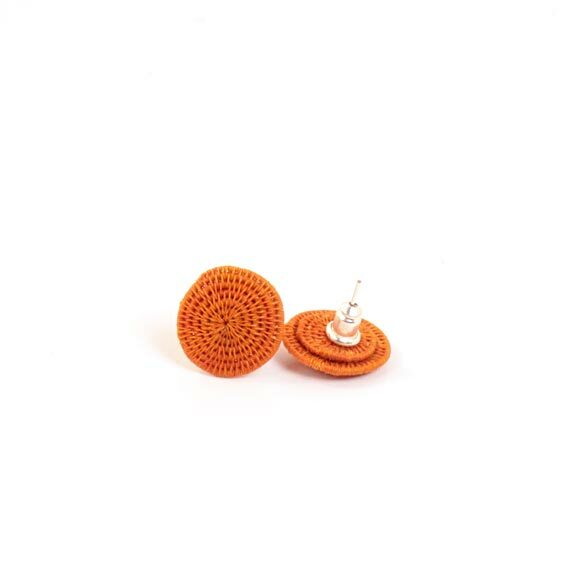 Only a select few weavers have the skill and talent to create this intricately woven miniature disk jewelry. Woven from the sisal plant (in the Agave family), each fiber is harvested, dried, hand dyed, dried again, then rolled against the weaver's leg until the perfect thread is drawn out. It is then coil woven using a needle to create some of the finest weaving anywhere.